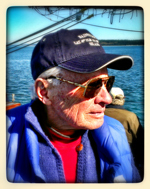 Following a long career in advertising and public relations, Bill Hemp moved to Bainbridge Island where he quickly became known for his remarkable drawings of local scenery. Hemp is also a writer. 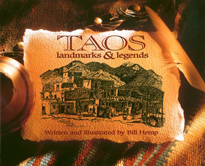 His book Taos Landmarks & Legends (2002) is a collection of essays he wrote about the many attractions and stories associated with Taos. The book also includes over hundred pen-and-ink drawings by the author. "In a quick skimming, readers of Taos: Landmarks & Legends immediately feel the spirit and flavor of Taos. Digging deeper, they'll find some enchanting stories that will entice them to explore further, and to savor and reflect on the fascination that Taos holds for so many" (Taos Historical Society).